Gallery Pejean opened late last year in George St, Launceston Tasmania. The gallery is elegant with space for monthly exhibitions and a stunning display of contemporary art. 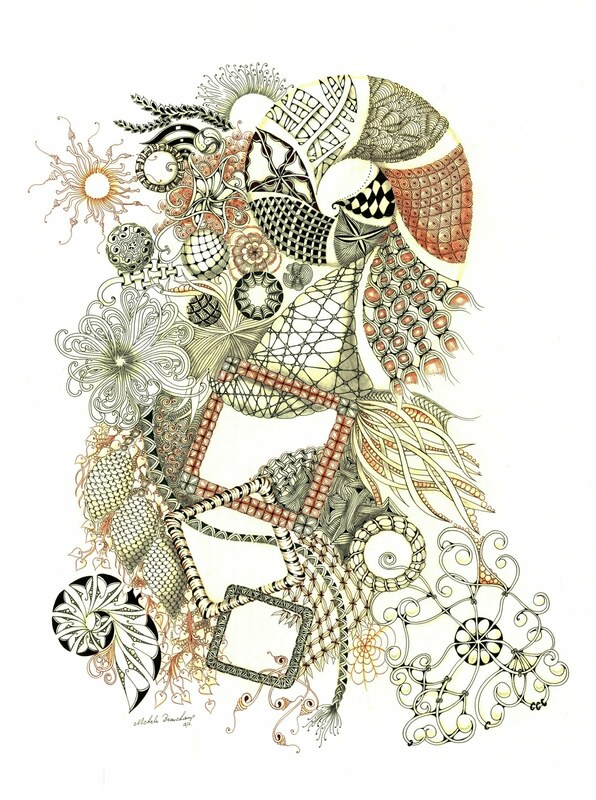 After being inspired by The Book of Zentangle I took a deep breath and approached Margo Baird, the gallery Director. She very kindly offered to exhibit 4 Zentangle Inspired Art pieces. I had a spring in my step as I walked back to the car. Life is full of surprises! Thank you Margo for your wonderful support. How wonderful, I am not surprised, your Zentangle art is beautiful. I wanted to tell you i think the cover of Linda Farmer's 2013 Tangle Guide is stunning. I love how you put together all the different tangles. Thank you. congratulations and this is stunning. numerous tangles. All working perfectly against each other! special way, and will be available for a wider audience to experience. Congratulations! I hope the gallery has a web page to view your exhibit. Let us know. LyndaKay click on the highlighted 'Gallery Pejean' above this link will take you straight to their web site. Perhaps if they are purchased my name may be featured! Yes, thanks! I noticed the highlighted name after I posted. Looks like a great gallery. Congratulations Michele. 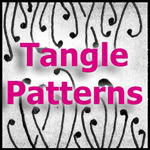 It is nice to see that Zentangle will be recognized as art. Your art is wonderful and I too would love to see the gallery's website. Congratulations, Shelly! Life is good!!! I can imagine how you walked home! This is so great for you, and I think you deserve it. Your last Zia is beautiful! Thank you every one for your encouragement. Lovely work. 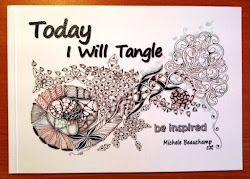 Really inspiring and Thank you for sharing your spirals. Congratulations, Shelly! I'm so glad your work is getting the recognition it so richly deserves. I'm just not sure how they could have decided which of your beautiful works to exhibit--they're all so stunning!